Telecanter, of the awesome silhouettes, has a couple of recent blog posts about drawing isometric dungeons, which give the illusion of depth to your maps. Very cool, and it seems like the basics of this technique would work when done by hand, or with layers in a GIMP/Photoshop sort of way. 1: Draw Map, 2: Rotate Map, 3: Magic! This may be what I need to get me to finish the semi isometric tomb map I have been idly sketching on a post-it for a few months. Then I can get on to trying to kill the players with it. Much is made of the concept of "DM as social director" where the DM is essentially hosting a party and providing for the entertainment of same. This makes sense if the DM is actually the host, but it seems like there must be groups that meet at clubs/game stores who follow a different arrangement, and someone else is the host and the DM is the "entertainment" for the get together. Still, in game, the concept makes sense, as the DM needs to juggle the personalities of the players to make sure everyone is having "fun" (or otherwise deriving benefit from play). Feeding into this concept of the DM as entertainer is the idea that the DM is not trying to kill the player characters, but rather, allowing them to play. There is some discussion of when to allow the dice to kill PCs and when to fudge things. An interesting idea on keeping players engaged is to have them recap previous sessions at the start of the next session. The book includes some random dungeon material, which could be useful to add to other tables you have for that purpose. Also has random encounter tables, and random treasure, as well as a number of "ready to go" encounters and traps with stats and details for 3.5. The book has a chapter discussing high level play issues, which are different than in earlier editions of D&D, given the power increase of the characters with feats and various powers. An interesting section of the book discusses how to have a memorable villain, which I think all longer term games could benefit from, even if they are sandboxes. I do not want to put everyone off this book, but rather suggest that it was not for me. If you were completely new to DMing, and did not spend a year reading blogs on the Internet before doing it, you could read this book and get some useful advice. For me though, it was mostly repetitious of things I have already read or learned on my own, and a bit too specific to the challenges or running a 3.5 game. In other news, still have not had the time/motivation to paint, so that is nearly four months without touching a brush. Not a great state to be in, particularly when I had three largish projects I wanted to accomplish this year (baneblade, D&D figures, and Dreadfleet). 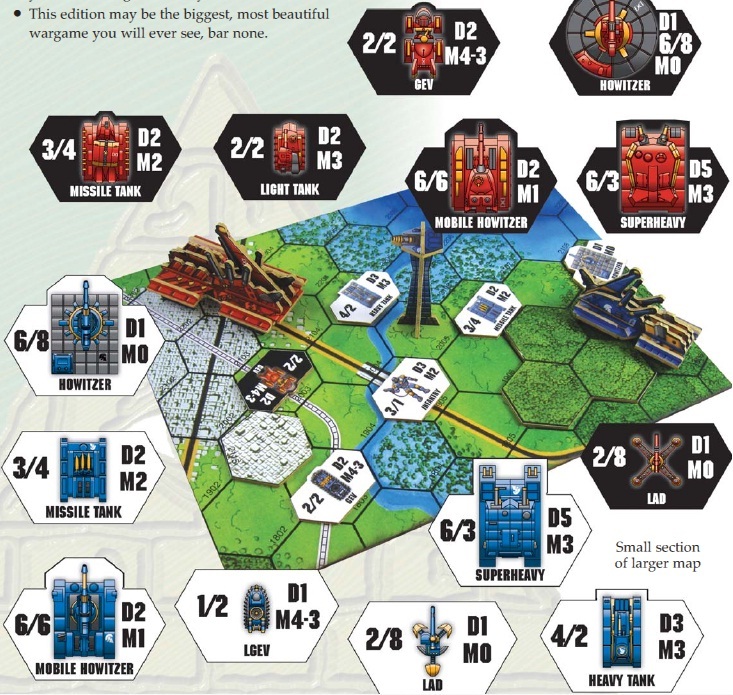 You may recall that last year, I had a post about 6th Edition Ogre (the game with giant robotic death tanks, not one about dim witted large fellows with clubs). It was supposed to come out in the fall of 2011, but funding was apparently an issue, and it has not happened yet. I have long been a fan of the Song of Ice and Fire universe, ever since I got all three of the first books, and read them in a week while my then girl friend (now wife) was out of town, and I was sick and bored. The gritty realism is of course part of the draw, but the characters are another. I got through all three books, and then was eager for #4, which came out that fall. (a quick peek at amazon indicates that it was 2005, so nearly 7 years ago). The long delay from Feast to Dance sort of cooled things off for me, and I have not thought as much about Westeros lately. Fortunately, the Westeros way of war seems to be broadly similar to the War of the Roses/mid Hundred Years War here on earth, that is to say "high medieval" in arms and armament, minus, of course, guns and cannon (so 1420-1450). So full harness for well-to-do types, mail and partial plate for those poorer, and cloth and helmets for the lower level retainers. Fantasy elements are limited, particularly in the first three books, with valarian steel swords being the main thing needed. Heraldry from here and from this amazing map. The Perrys have a lovely series of figures that would fit in well here, in the shape of the War of the Roses line. The plastic boxes for this yield archers, Men-At-Arms, billmen, pike men, and crossbows. Metals fill in a few of the other needed elements, and the Hundred Years War line would provide for the poorer lords' forces. Now I just need to finish off about 25 other projects, and I can move on this one!